Must have an aggregate of 60% and above throughout academics. Must have an excellent communication skills. Must be a quick learner. People Tech was established in 2006, with the setup of its Headquarters at Bellevue, Washington. While the principal focus of the promoting directors was enterprise applications, over the years, this focus has split between Enterprise Application Implementation and allied services, and Information Services. With a growing pipeline of projects and a continuously extending list of satisfied customers, People Tech expanded its operations. This includes Delivery Centers at Hyderabad and Bangalore in India, its presence within the US, with offices currently planned in the EU as well as the ME and APAC regions. The dedicated efforts of the team at People Tech over the years have resulted in recognition from technology principals such as Microsoft, Oracle and SAP. The company has since been identified as Gold Certified Partner for Microsoft Technologies and a Gold Partner for Oracle as well. People Tech envisages that Excellence in its business practices and deliverables are not by acts of omission or commission but purely by habit. Therefore, since its incorporation, the people of People Tech have laid an undeterred focus on not merely the output, but also the methods employed to obtain it. As a result, it was natural that the infrastructure and processes at People Tech have been and are compliant to the industry standards for quality assurance and information and system security. Since May 2011, People Tech has been certified compliant to the ISO 27001:2005 standard. Get Daily Job Alerts on Mail, Click Here to Subscribe Now !!! Share the above Jobs with your friends also. * 2013 batch people must apply. Many of them are getting calls and getting selected. Candidate must have 65 % and above throughout academics. Candidate must not have any backlog history. IIIT Bangalore, supported by Infosys Foundation has announced a post graduate Diploma in Software Development ( PGDSD ) program. This program is for 9 months and is meant only for BE or equivalent passed out in 2013 and 2014 . The Entire Program is completely FREE. During Training / Program, they will be paid a Stipend of 7000 PM for their expenses. Once the program gets over, they will be given best placement opportunity from different MNCs. Applicants must have completed a Bachelor’s Degree in Engineering in Computer Science or information technology or Electronics and Communication engineering or information systems or similar disciplines at least 60% marks in every semester of the undergraduate study from any of the recognized universities in India. The year of graduation cannot be earlier than 2013. Applicants must also have secured at least 60% in Class X and Class XII examinations in school. Applicants should not have more than two fail grade during the entire course. Applicants must provide documented proof of hailing from socially disadvantaged section of society (SC/ST and OBC) or economically weaker section of society ( irrespective of the caste or religion they belong to) as indicated by parents’ annual income (gross annual income of parents not higher than Rs. 2.5 lakhs). Applicants are required to apply online at http://radixlearning.com/stp. The last date for submitting complete application form and documents is 23 January 2015. Admissions to applicants will be offered on the basis of candidates’ performance in school examination, engineering degree, gate score (if any) and parents’ gross annual income and nature of socially disadvantaged background. Candidates selected will be informed of admission offer through an email by 26 January 2015. Candidates who are offered admission must confirm that they accept the admission through an email send to admissions_stp@iiitb.ac.in latest by 5 PM on 29 January 2015. If a confirmation is not received by the deadline, the offer shall stand withdrawn; and a candidate in the waiting list may be offered immediately after the deadline. Candidates who accept the offer for admission and fail to appear for formal admission and registration along with all original certificates and documentation on 5 February 2015 at the IIITB Campus in Electronics City, Bangalore would forfeit admission. 1. Free High Quality Education: The admission and tuition fees that IIITB usually charges for all its degree and extension education programs will be waived completely for the students. Thus the students will receive high-quality education at IIITB completely free. 2. Stipend: In addition to free high quality education at IIITB, the admitted students will receive Rs. 7,000/= (Rupees Seven Thousand only) as stipend every month for a period of 9 months, the entire duration of the programme. This stipend is primarily provided to take care of living expenses during the programme at Bangalore. No accommodation is provided and students would have to make their own arrangements for stay at Bangalore for the duration of the programme. The institute, if requested, may help in finding accommodation close to the institute. 3. Food & Refreshment: Students will be provided refreshment (tea) free of cost once in the forenoon and once in the afternoon on all working days during the programme. Lunch will also be served free of cost on all working days. 4. Laptop and Development Tools: A laptop will be made available to each student for the duration of the programme, along with the necessary learning and development tools. It is expected that the student takes good care of the equipment loaned to him for the duration of the programme and return back to IIITB in good, working condition at the end of the programme. 5. Learning, Practice & Assessment Resources: To support strong “learn by doing” methodologies, practice and assessment, students will be provided unlimited access to a high-quality learning, practice and assessment resources portal at no cost to the student as a part of the programme. 6. Internet: All students will be provided access to the high-speed Internet facilities on the IIITB campus through wired Internet in classes/labs and also WiFi. 7. Library Facilities: Students will be provided access to the Infosys Library of IIITB for borrowing books, reference material as well as for reading in the library. 8. Stationery: Students will be provided required stationery free of cost during the programme. 9. Additional Competency Development Workshops: Apart from the structured curriculum of the PGDSD programme, students will have access to additional competency development workshops on getting prepared for placement preparation activities. These services are also offered free to all students. 10. Placement Services: The programme focuses on competency development in students. IIITB firmly believes that students who develop strong competencies would receive placement offers from companies simply on the basis of their competencies. Placement services will be offered to all students who fulfill the minimum requirements for completing PGDSD. Opportunities for placement will be created through campus interviews as well as off-campus events. No additional fee will be charged to the students. The main idea of offering a range of free facilities to the students is to enable the students to focus on learning, practice and development of competencies without any distractions. A detailed curriculum document will be available in the website shortly. Candidates who have attended earlier drives are not eligible. Since 2004, we’ve been building a team of passionate engineers GGK is a privately held, IT consulting firm that provides software development, product engineering, business intelligence, quality assurance services to enterprise clients. We have built the company around the core philosophies of hiring the most passionate and talented software professionals and forming strong, integrated partnerships with our clients. At GGK, you’ll find a diverse mix of bright employees who are often called the smartest engineer in the room. With a decade of experience we’re designing, developing, managing, and deploying creative technology solutions for a vast range of companies like Microsoft, Blue Cross Blue Shield, COX Communications, Novartis, Principal Financial Group and ZeroChaos. We relentlessly work towards improving and perfecting our engineering processes, people, and skills. We strongly believe in continuous education, knowledge sharing, and reuse. We also believe in giving back to the communities where we live and work. We intentionally designed an organization where like-minded professionals can focus on their craft, refine their skills, and challenge each other in a casual yet professional environment. From the beginning GGK’s founders have consciously created a “dot com” feel where professionals are able to do their best work in an open environment. Candidate must be a graduate from any recognized university. Must have an aggregate of 75% in graduation. Must have excellent programming knowledge. Knowledge of Algorithms, C / C++ / OOPS is mandatory. Microsoft Corporation (/ˈmaɪkrɵˌsɒft/ or /-ˌsɔːft/) is an American multinational corporation headquartered in Redmond, Washington, that develops, manufactures, licenses, supports and sells computer software, consumer electronics and personal computers and services. Its best known software products are the Microsoft Windows line of operating systems, Microsoft Office office suite, and Internet Explorer web browser. Its flagship hardware products are the Xbox game consoles and the Microsoft Surface tablet lineup. It is the world's largest software maker measured by revenues. It is also one of the world's most valuable companies. As of 2013, Microsoft is market dominant in both the IBM PC-compatible operating system and office software suite markets (the latter with Microsoft Office). The company also produces a wide range of other software for desktops and servers, and is active in areas including Internet search (with Bing), the video game industry (with the Xbox, Xbox 360 and Xbox One consoles), the digital services market (through MSN), and mobile phones (via the Windows Phone OS). In June 2012, Microsoft entered the personal computer production market for the first time, with the launch of the Microsoft Surface, a line of tablet computers. With the acquisition of Nokia's devices and services division to form Microsoft Mobile Oy, the company re-entered the smartphone hardware market, after its previous attempt, Microsoft Kin, which resulted from their acquisition of Danger Inc.
Must be able to produce verified documents, failing to which may lead to cancellation of candidature. Convergys is a leading provider of customer management solutions for companies across the country and around the world. For more than 30 years, we’ve worked closely with some of the most notable companies in the world, creating innovative ways to enhance the relationships they have with their customers. The incredible success we’ve had is thanks to the nearly 76,000 employees that use the training they’ve received here to manage billions of customer interactions every year. And that’s why we need you. We’re looking to add positive, motivated individuals to our team – people who are eager to learn our business, grow in their careers and advance within our company. For thousands of our team members, Convergys has become so much more than the place they began their careers. We’ve created a community of people who love where they work, how they work and whom they work alongside, because we take great care to develop lasting relationships with our people. And when people feel valued, supported and encouraged, they can do more than they ever thought possible. Successful employees at Convergys are all very different - some are multi-lingual, trendsetters, recent graduates, launching a new career or may be simply looking to make a difference. What they have in common is a desire to learn and grow, so we work hard to give them everything they need to do just that. We build relationships with and create a lasting impact on the diverse communities we serve. We foster a sincere spirit of giving and volunteerism and challenge our employees to lead civic efforts that shape the future of our communities. Follow our work in communities around the world. Among Fortune 500 companies, over half of the Top 50 are clients that trust their most important relationships to Convergys. That’s why we hire candidates who value teamwork, are strong listeners, and who are committed to acting in the best interest of our clients – then we make sure they have absolutely everything they need to succeed. Our commitment to building sustainable relationships extends not only to people and clients, but also to the environment. In recognition of this commitment, Convergys is consistently named among the top companies in Newsweek’s Green Rankings. Every Convergys team member brings something unique to his or her role within our organization – diverse backgrounds, different work styles, fresh perspectives. We value these differences and believe that they make Convergys an even more exciting place to work and help us to better serve our clients. To show our team members that their unique attributes are valuable, and to encourage them to learn more about their peers, we’ve created several successful programs that enrich our culture and professional relationships. The Operating in a Global Environment - Diversity Curriculum is a multi-dimensional, multicultural skills-based learning experience that enhances our customer and employee interactions across cultures. OGE is designed to help employees accomplish their goals of working in a changing, multicultural workplace. Supplier Diversity at Convergys is achieved by engaging qualified suppliers of goods and services. This creates value for Convergys, its clients and shareholders through the sharing of innovative ideas, more comprehensive solutions to business challenges and faster response to changing marketplace dynamics. Convergys will provide maximum practicable opportunity for diverse suppliers to equitably compete with other suppliers who meet our quality, service, procurement, business and contractual requirements. Diversity Action Teams focus on enriching the employment experience of all employees as well as making meaningful contributions that benefit the company overall. These teams identify and recommend solutions specific to their location, market and community. Must be ready to work in a Start up environment. Must have zeal and vigor to code. The selected candidates shall be working on our product from day one. Communication skills is very very important as the candidates shall be interacting with the U.S clients. Bangalore - 560 068, Karnataka, India. 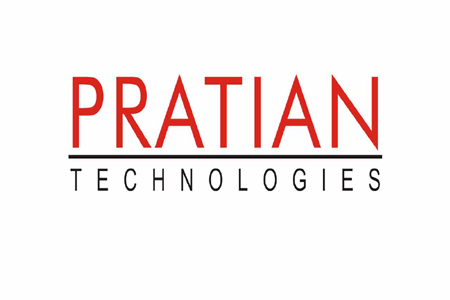 We - PRATIAN Technologies (India) Private Limited (PRATIAN), are a Bengaluru (formerly Bangalore) based company, who focus on Information Technology Solutions, Technology Consulting, Products & Innovation, Enterprise Learning Solutions, and Cloud based Solution. Enterprise Learning Technologies include management & analytics solutions for Learning, Training, Content, Assessment, Knowledge and Competency (Like, LMS, CMS, TMS etc…). Having experienced the impact of iteration and agility in personal and business life alike, we have incorporated it as part of our operational framework. We are a team of very passionate, experienced, business oriented and technical professionals who came together to form PRATIAN with a niche focus on providing technology driven solutions that will profoundly impact our clients through our product leadership, customer intimacy and operational efficiency. Our global development center is located in Bengaluru, the Silicon Valley of India, being one of the largest exporters of – Software, Information Technology (IT) and Information Technology enabled Services (ITeS) and a Sales Office in the Singapore. The location of our office has been carefully chosen keeping in mind the strategic importance of IT in the country. Apart from being the capital city of Karnataka, Bengaluru is the largest contributor to India’s US$ 33 billon software exports. Being located in the high profile city, we have access to some of the best brains in the Information Technology industry. Our workforce comprises of a blend of highly experienced technical architects to geeks. We believe in building solutions that will revolutionize the way productivity is enhanced in an organization and talent is groomed across the globe; keeping in mind the security, reliability, robustness and scalability of the solutions. We base the architecture of our products on proven solutioning frameworks, and industry best practices helping us in ‘Building the RIGHT systems’. As a result we are able to build products that gel well with the human psyche and fit the requirement of our diverse global clientele. Candidate must be a fresher. Flipkart is an Indian electronic commercecompany founded in 2007, by Sachin Bansaland Binny Bansal. It operates exclusively in India, where it is headquartered in Bangalore,Karnataka. It is registered in Singapore, and owned by a Singapore-based holding company. Flipkart has launched its own product range under the name "DigiFlip", offering camera bags, pen-drives, headphones, computer accessories, etc. Legally, Flipkart is not an Indian company since it is registered in Singapore and majority of its shareholders are foreigners. Because foreign companies are not allowed to do multi-brand e-retailing in India, Flipkart sell goods in India through a company called WS Retail. Other third-party sellers or companies can also sell goods through the Flipkart platform.